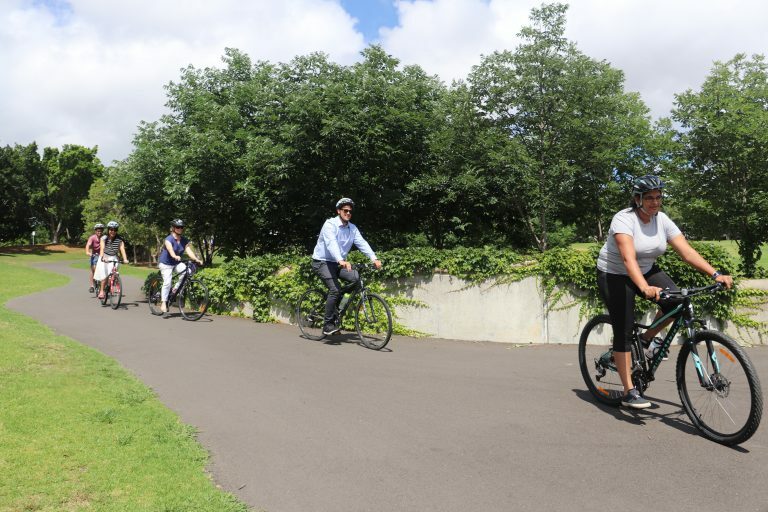 Bicycle NSW has been actively supporting footpath riding across the state for over a year, and has advocated for the rules to change to allow all cyclists the right to ride on the footpath. Under current road rules in NSW, adults are not allowed to ride on the footpath unless accompanying a child 12 years of age or younger. However, this is not the case in Tasmania, Queensland and ACT where it is legal for adults to ride a bicycle on the footpath. The question is whether the prohibition against cycling on the footpath is justified. The rule appears to be based on the concern about the danger to cyclists associated with motor vehicles as well as cyclists posing a threat to pedestrians on footpaths. However, a recent study from NSW Roads and Traffic Authority concluded that the perceived danger is much greater than the actual risks of bicyclists and pedestrians on shared paths (Study of Bicyclists and Pedestrian Safety on Shared Paths, August 2009). Indeed, it was further found that pedestrians do not alter their behaviour in the presence of cyclists, but cyclists do tend to alter their behaviour appropriate to pedestrian density (Cycling in Pedestrian Areas, Report PR15, Transport Research Lab, 1993). That demonstrates the point that sometimes the feelings of conflict in these situations are one-way – pedestrians may be frightened when a cyclist passes them closely on a shared path, but the cyclist may not share this concern. According to a study by Grzebieta, McIntosh and Chong entitled Pedestrian-Cyclists Collisions: Issues and Risk (2011) found that “whilst there are a large number of traffic related cycling deaths and pedestrian deaths… only four fatalities were identified… that have resulted specifically from a cyclist-pedestrian collision for the period 2001 to 2006 (pg. 6).” That being said, the risk of a pedestrian being hit and killed by a cyclist is less than the risk of being struck by lightning, 23 times less likely than tripping on a footpath or roadway, and 700 times less likely than being struck and killed by a motor vehicle (Grzebtieta, et al, pg. 7)! However, when a cyclist kills a pedestrian, the event is usually elevated in the media, reinforcing negative perceptions towards cyclists. Ultimately, the risk of a pedestrian being injured as a result of an impact with a cyclist remains a low risk event. As such, we must account for the very low risk of such a collision occurring and weigh that against the substantial health benefit gains resulting from increased bicycle riding in any policy or initiative that we consider.